The image was taken by a Quanta Scanning Electron Microscope, which can magnify things up to one million times. 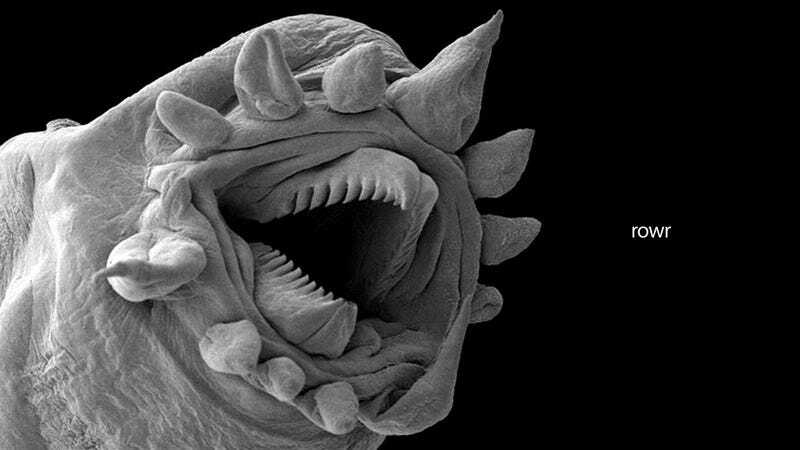 The microscopic beast is a worm found in a hydrothermal vent, an Earth fissure that puts water and hot gasses in contact, generating rich life environments. Worms like this don't have a digestive tract, but bacteria that transforms hemoglobin into carbon compounds. The worm can absorb the carbon compounds directly.